Height adjustable chair with arms, with castors and 5-star swivel base with tilting mechanism. Structure made of extruded aluminium profiles and die-cast aluminium elements; seat and back in Pelle Frau® leather or in Kvadrat® fabric. Soft castors. Rollingframe chairs, with five-star bases, can enhance the more private dimension of the home office to the executive office, to the operative offices with unrestricted elegance. 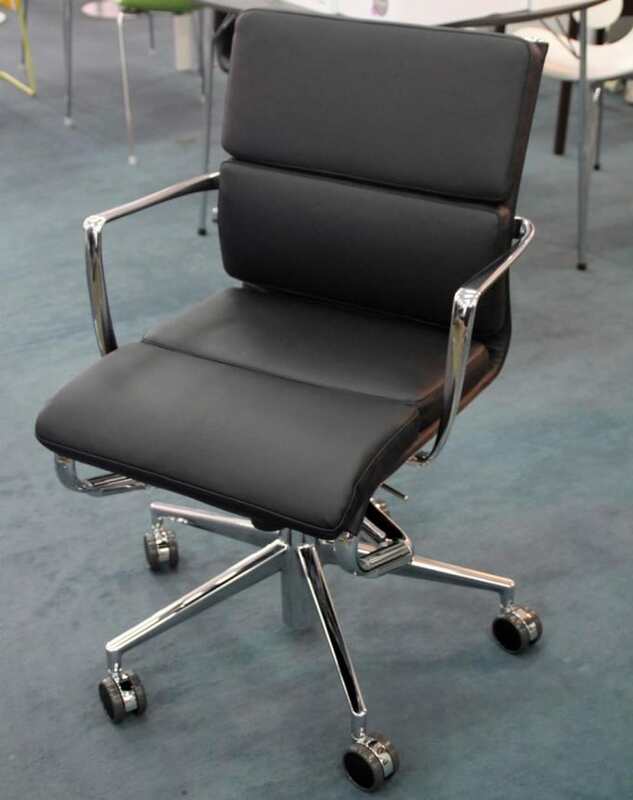 The swivel base supports an ergonomic seat upholstered in leather or mesh, with the option of the “plus” version which is a slightly wider and more comfortable alternative. Do you have a question about "Rollingframe + Low Tilt soft"? How can we contact you?